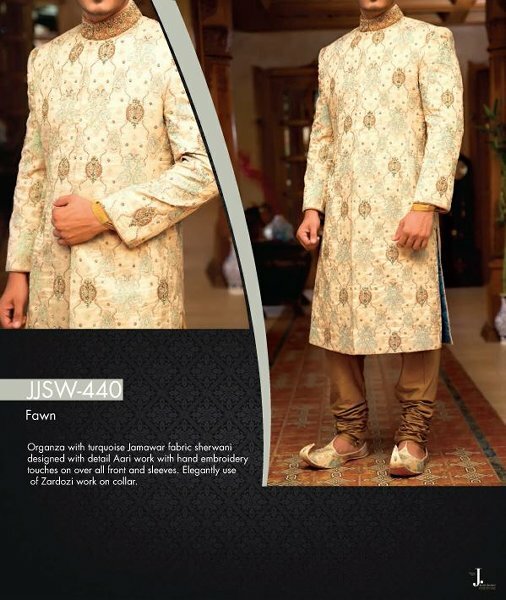 If you have been looking for Junaid Jamshed Sherwani collection 2015 for men then here we are! 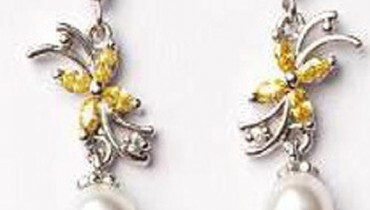 At this post, we will be telling you the complete details of this collection line. 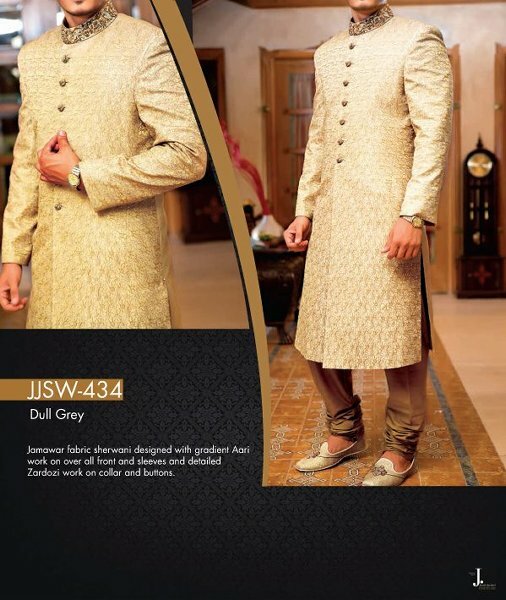 We know that the hub of Junaid Jamshed has all the time come up with amazing dresses for men, women and kids and in the same way, this time, this label has set the stage on fire by coming up with this Sherwani collection 2015 for men. If you want to make each and every occasion one to remember with that suit from the J. Couture Collection then here are these suits that have been featuring with these modern cuts and detailing, they have been put up with that magical kind of styling that cannot ever and ever be forgotten. 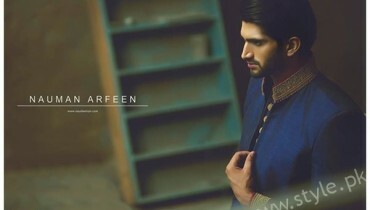 As you can see in the pictures that this label has come up with these fantastic kinds of sherwanis, they have been covered with these dabka work and fancy kinds of embellishments, it is these sherwanis that can too be grabbed by all the grooms out there who are about to get married. For the colors, this amazing sherwanis collection has been there in the color range of navy, golden, silver, maroon, light blue and in many other shades. You should too join the face book fan page of Junaid Jamshed hub so that you may get to know that what kinds of sherwanis have been put up by this label! We are sure that all those men who are planning to become a groom, they will just love this collection line. Just check out all of the pictures and then you have to let us know that which is that sherwani that has been liked by you the most!